No matter where a journey takes you, enjoy the ride with a new Vauxhall Insignia Country Tourer. Browse the superb range here at Motorparks today. An estate car with features that would not go amiss on a SUV, the Insignia Country Tourer is comfortable to drive and boasts appealing understated looks. Adaptive 4x4 features also make the car a joy to drive in the country, while a FlexRide chassis is great for ensuring the vehicle handles a variety of conditions. With an eight-inch IntelliLink infotainment system and a digital radio with USB connectivity, there is plenty to catch the eye inside the Insignia Country Tourer too. 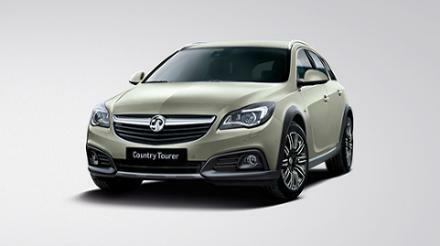 Enquire about the new Vauxhall Insignia Country Tourer online now, or why not book a test drive? This will take place at either our County Motor Works or Doves Vauxhall Southampton dealership. Have you also taken the opportunity to check out the dynamic and forward-thinking new Vauxhall Insignia Sports Tourer?